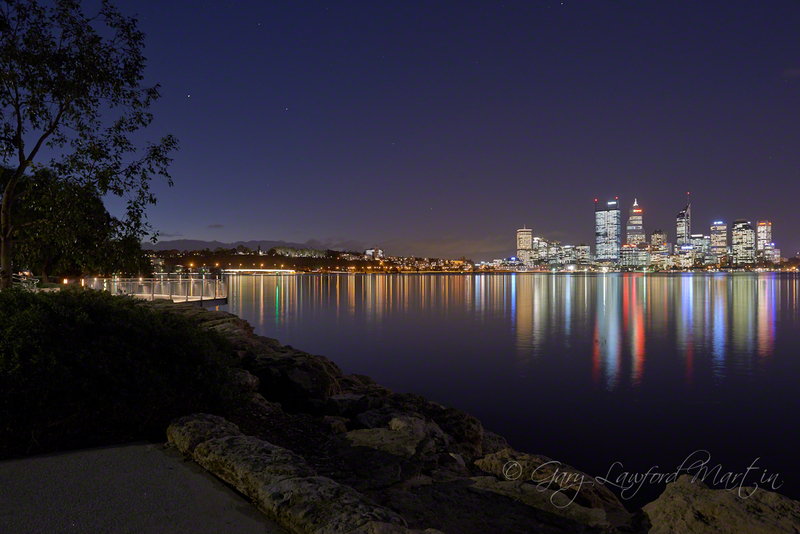 The Swan river divides Perth city centre from south perth. The Narrows bridge initiates the Kwinana freeway south, connecting the Mitchell freeway north. Platforms along the south side of the Swan river allow the views to be appreciated. Kings Park backdrops this scene, beyond the vehicle lights crossing the Narrows bridge. Capture One Pro 7 import sharpen, shadows and clarity adjustment only.